You’ll be amazed at the sheer variety of textures, colours and performance finishes that are available to help you create a characterful interior that suits your décor and lifestyle perfectly. 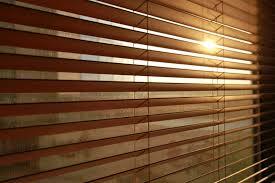 Our Wooden blinds combine the practicality of being lightweight and tough, with the beauty of a stunning grain and smooth finish. Choose natural wood tones for a warm and welcoming feel. Or, if you like contemporary styling, pick your perfect shade from our painted ranges which include subtle neutrals and muted hues. 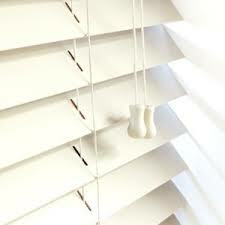 First Choice Blinds wooden blinds add a touch of natural style to any window. And best of all, the wood we use is grown in sustainable forests, so you can choose your blind safe in the knowledge that it’s been sourced responsibly. 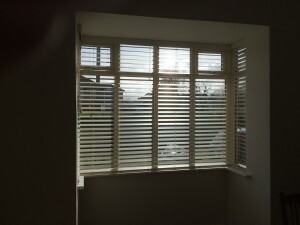 At First Choice Blinds we know that some rooms, particularly bathrooms and kitchens, require a high performance finish. That’s why we’ve created our wood effect range. Available in painted and natural finishes, our Faux Wood blinds combine the beauty of natural wood with moisture-resistant qualities that are just perfect for steamy rooms in the home. First Choice Blinds collection includes a new selection of contemporary neutral shades – from natural stone to silvery grey and smoke – giving you more design options than ever before. First Choice Blinds Faux Wood collection features an innovative Smart Privacy option, offering you enhanced levels of privacy and light control. Available in Platinum and Bone White, our Smart Privacy Faux Wood blinds are an ideal choice for bedrooms and rooms at street level where you would like the added benefit of flexible light control and extra levels of privacy. Your advisor can talk you through all the available options during your in-home appointment. 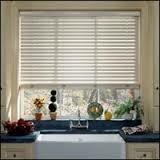 For a truly individual look, you can personalise your blind with coloured and patterned tapes. So, whether your style is subtle and understated or outrageously flamboyant, we’ve got lots of great options for you. 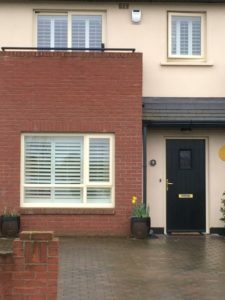 You can also choose from two different slat widths depending on the size of your window and your own personal preferences. During your in-home appointment your local advisor will talk you through all of the options and show you how the different slat widths, shades and performance finishes will work alongside your own décor and lifestyle. And once you’re happy with your choice, your advisor will accurately measure your windows and provide you with a quote to consider. When we receive your order we’ll return to professionally fit your beautiful made-to-measure blinds for a stunning finish. It really is that easy.